How cute are Caroline & Jack?? We love that they wanted to showcase their current San Francisco neighborhood via Clarion Alley and Dolores Park! 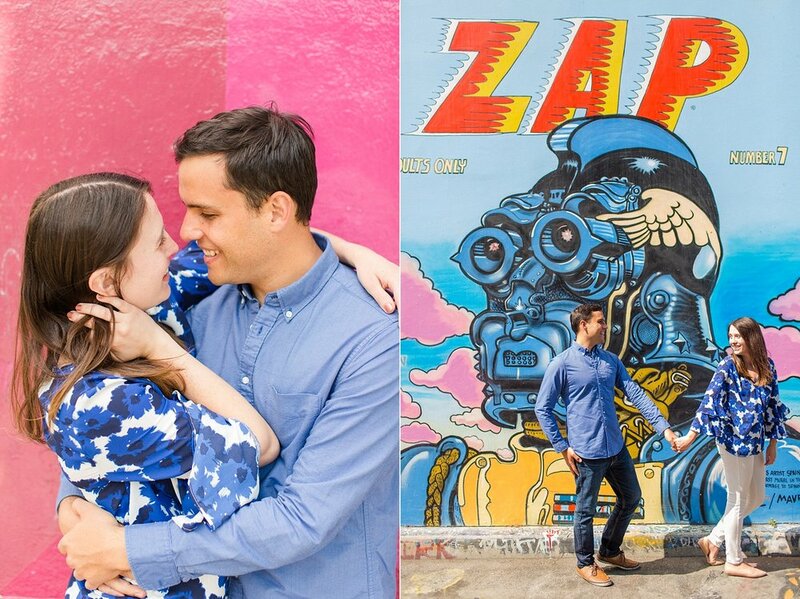 As you probably know, we're big fans of our couples showing off their personalities and art murals are totally our jam. Add an extremely sweet and cute couple, and it's a win-win! Get ready to be seeing more of these two soon as we can't wait to photograph Caroline & Jack's Adamson House wedding later this month!